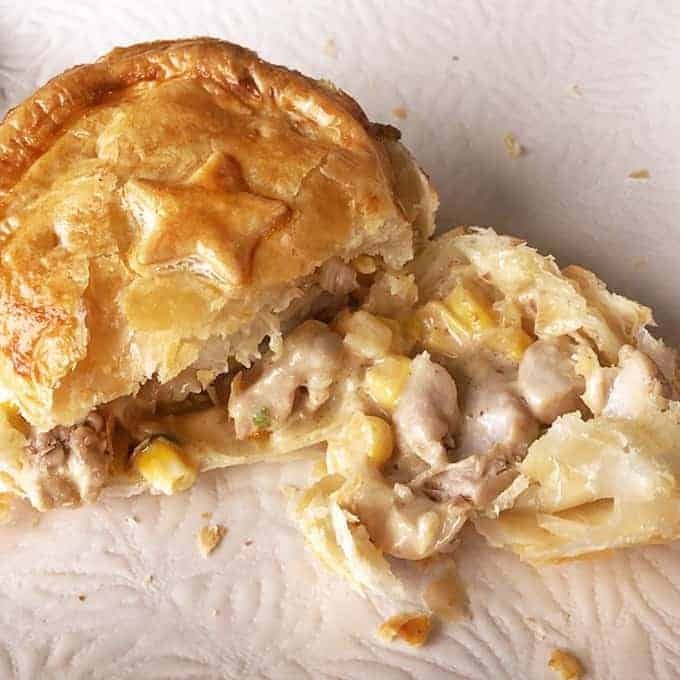 You can’t beat these delicious chicken and sweetcorn pies, you can make them individually or as one big family sized pie. 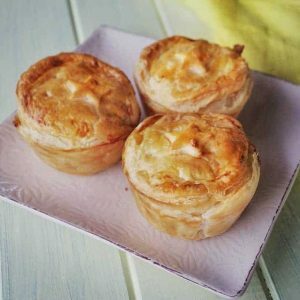 Your family will love these easy and delicious pies, they are so simple to make and are packed full of flavour. 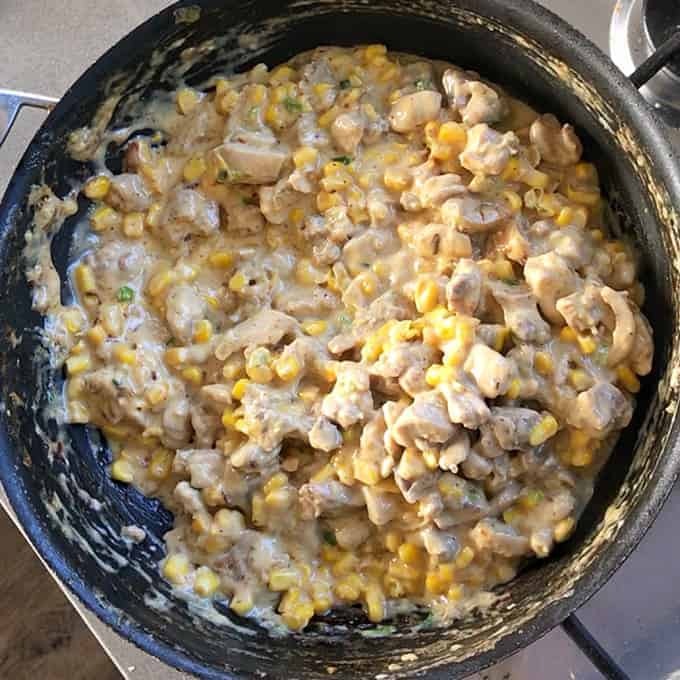 You just fry the onion, garlic and chicken then add the sweetcorn, then mix it all together with some cream to make the most delicious pie filling ever. 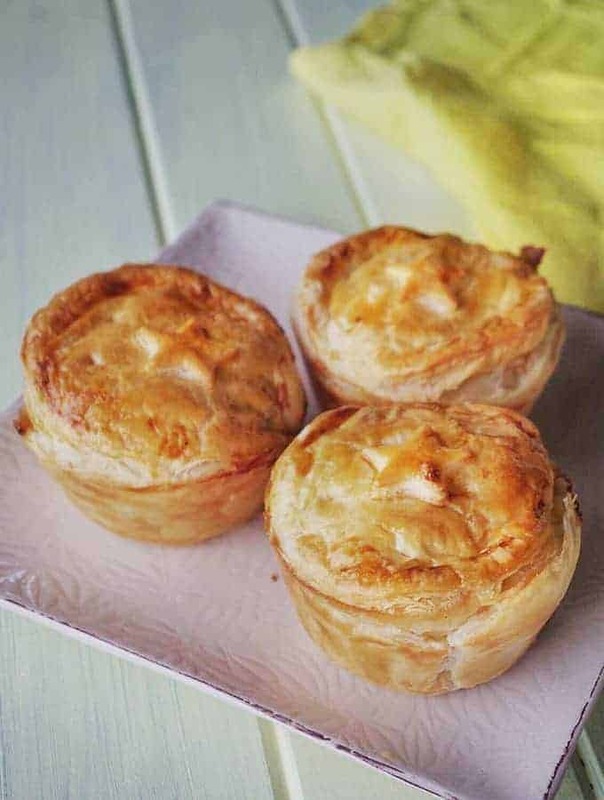 I like to make individual pies or mini ones for the kids but this also works so well as a big family sized pie. These would also be great to take along to a shared lunch or to prepare in advance for work lunches. 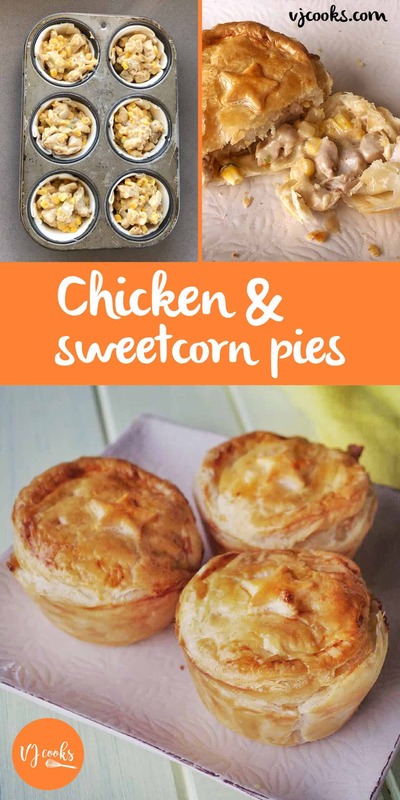 You can't beat these delicious chicken and sweetcorn pies, you can make them individually or as one big family sized pie. Preheat oven to 200°C fanbake. Heat a large frypan on the stovetop and add oil. Sauté onion for a few minutes until soft then add garlic, stir together. Add chicken and cook until browned then add spring onion, corn and cream. In a cup mix together cornflour with 1 tablespoon of water, add to mixture and keep stiring until it thickens. Season to taste with salt and pepper. Set aside to cool. Grease a muffin or pie tin with oil or butter, cut pastry to fit then line each hole. 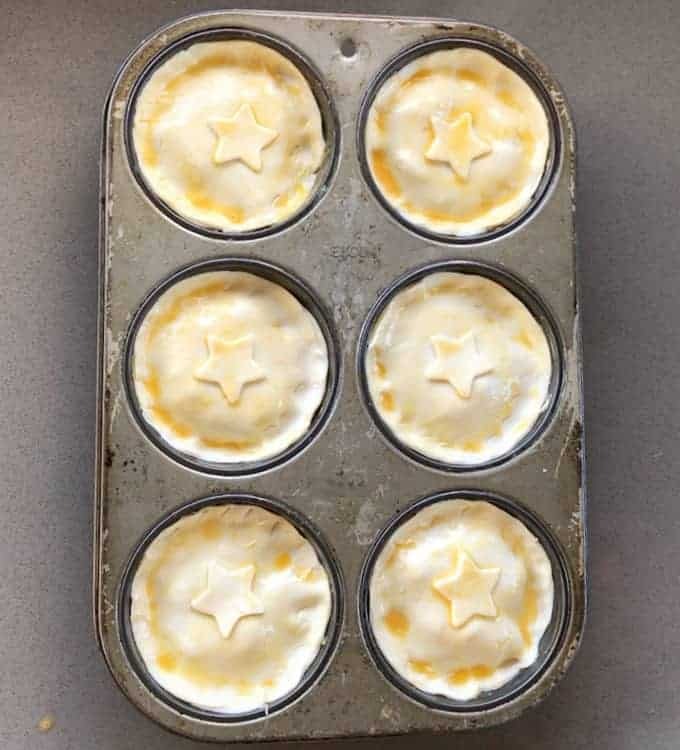 Fill each with mixture and place pastry lid on top. Squeeze edges together so filling does not escape. Whisk egg and glaze pies with a pastry brush. Poke a few small holes in the top of each pie. Bake for 30 minutes until golden, let sit for 5 minutes then serve. 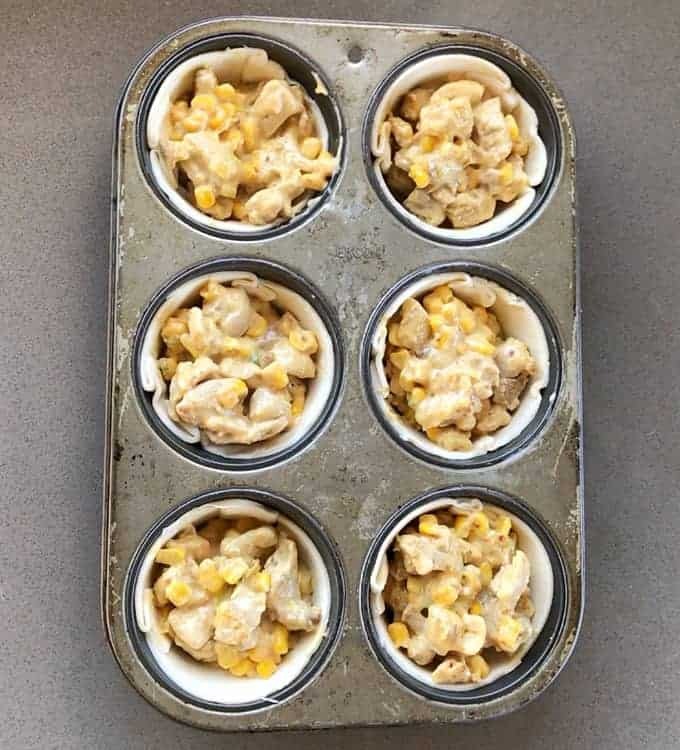 I used a Texas muffin tin for my pies and put the rest of the pastry and mixture into mini muffin tins to make small pies for the kids.